Gapers Block - To be Demolished: 5553 S. Princeton Ave. Permit Description: Wreck & remove 2 story frame residence w/bsmt. 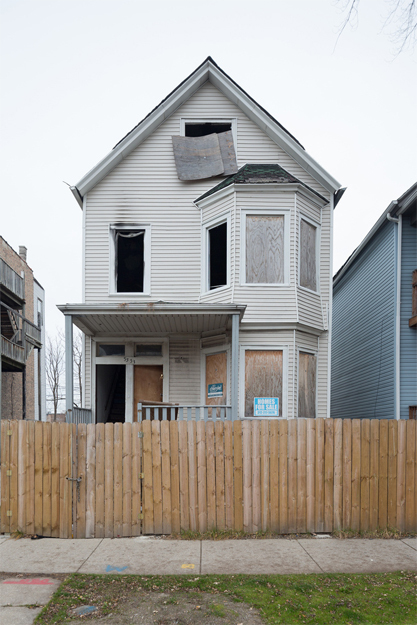 This multiple former foreclosure property received nine building violations from four separate occasions between June 2007 and January 2012. Still, the property was sold multiple times during the period. When a local activist was told about the building's demolition, she said "Oh, that building? It should have been torn down a long time ago."